If you’re in a crunch for an easy weeknight dinner, this Last Minute Chicken Recipe is what you need! I can’t tell you how many times I have been so busy during the day that I forget to plan our dinner. Yup, that happens… even to a food blogger. Since chicken is one of my family’s favorite proteins, I always keep it stocked in my freezer and some fresh in my fridge too. 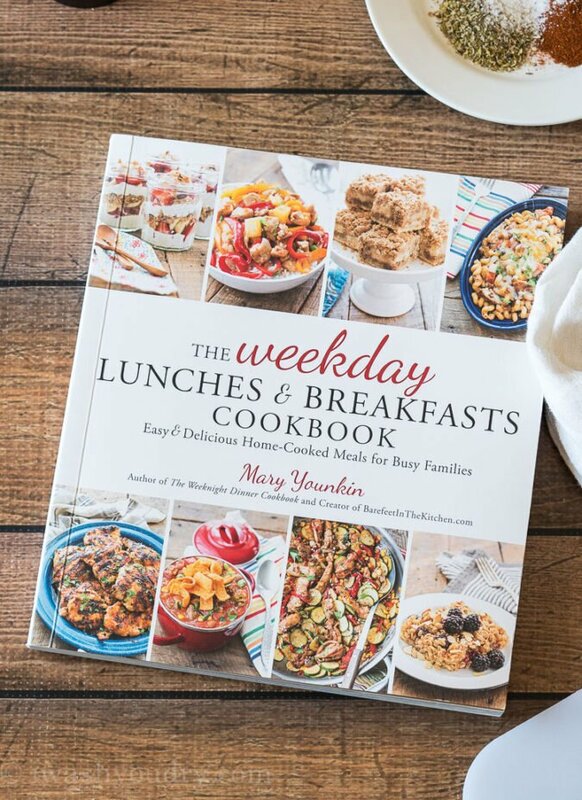 That’s why I’m loving this Last Minute Chicken Recipe out of my friend Mary’s new cookbook, “The Weekday Lunches & Breakfasts Cookbook.” The chicken ready in about 15 minutes and goes perfectly with just about any side dish, in salads, sandwiches or just by itself! This chicken is ready in a flash and perfectly seasoned. Start with fresh boneless skinless chicken thighs. 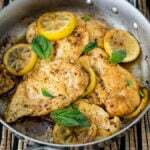 Boneless skinless chicken breasts would also work with this recipe! Combine all the seasonings in a small bowl and sprinkle on both sides of the chicken. 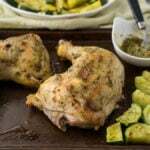 You can cook the chicken on a grill pan, over a traditional grill or even in your oven! 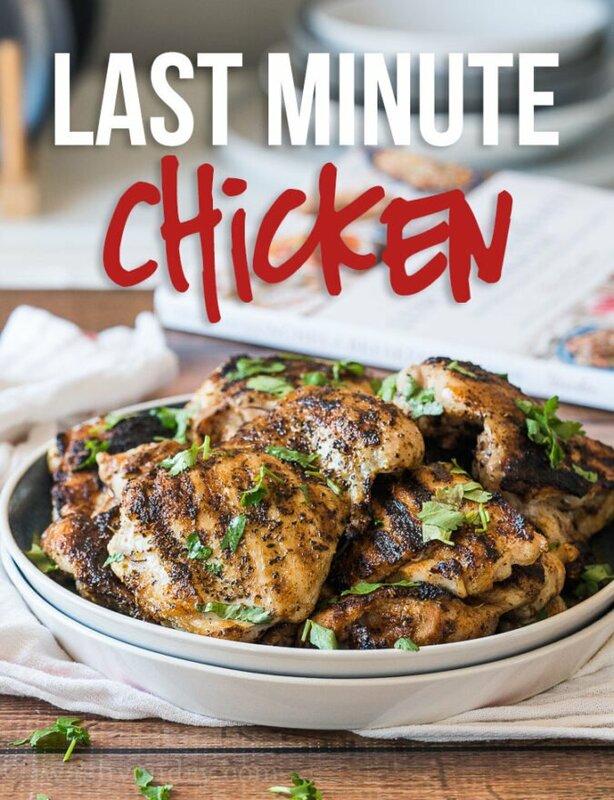 This chicken is ready in about 15 to 20 minutes! The recipe makes 3 pounds of chicken, but if you’re just serving for a smaller family, you can scale back the amount of chicken and seasoning you use. Make a big batch of this chicken in the beginning of the week and use it throughout the week for easy lunches and dinners! Store cooked chicken in an airtight container in the fridge or freezer until ready to enjoy. This recipe calls for paprika or smoked paprika. I love the smoky flavor that you get when you use the smoked paprika, but if you’re wanting to keep this recipe pretty basic for everyday use, I would stick with regular paprika. 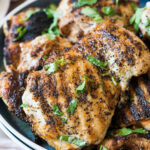 One of my favorite things to do with this chicken is prep it all on Sunday night and have cooked chicken ready for easy lunches throughout the week. Mary’s cookbook is filled with amazing easy lunch recipes just like this one. From salads, to soups, skillet meals, make ahead breakfasts and even her go-to spice mixes in the back, this recipe book has what you need to streamline your week! 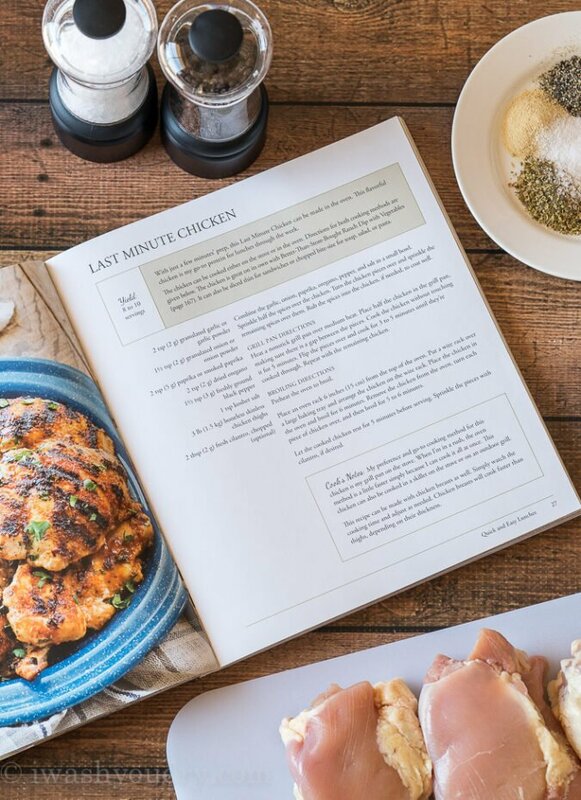 Get started with this easy chicken recipe, then grab her new cookbook and get excited! Combine the garlic, onion, paprika, oregano, pepper and salt in a small bowl. Sprinkle half the spices over the chicken. Turn the chicken pieces over and sprinkle the remaining spices over them. Rub the spices into the chicken, if needed, to coat well. Heat a nonstick grill pan over medium heat. Drizzle with the olive oil. Place half the chicken in the grill pan, making sure there is a gap between the pieces. Cook the chicken without touching it for 5 minutes. Flip the pieces over and cook for 3 to 5 minutes until they’re cooked through. Repeat with remaining chicken. Place an oven rack 6 inches from the top of the oven. 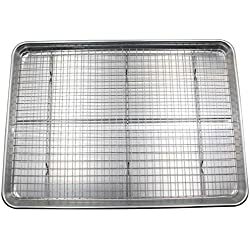 Put a wire rack over a large baking tray and arrange the chicken on the wire rack. Place the chicken in the oven and broil for 6 minutes. Remove the chicken from the oven, turn each piece of chicken over, and then broil for 5 to 6 minutes. Let the cooked chicken rest for 5 minutes before serving. Sprinkle the pieces with cilantro, if desired. Recipe can be made with chicken breasts as well. Simply watch the cooking time and adjust as needed. 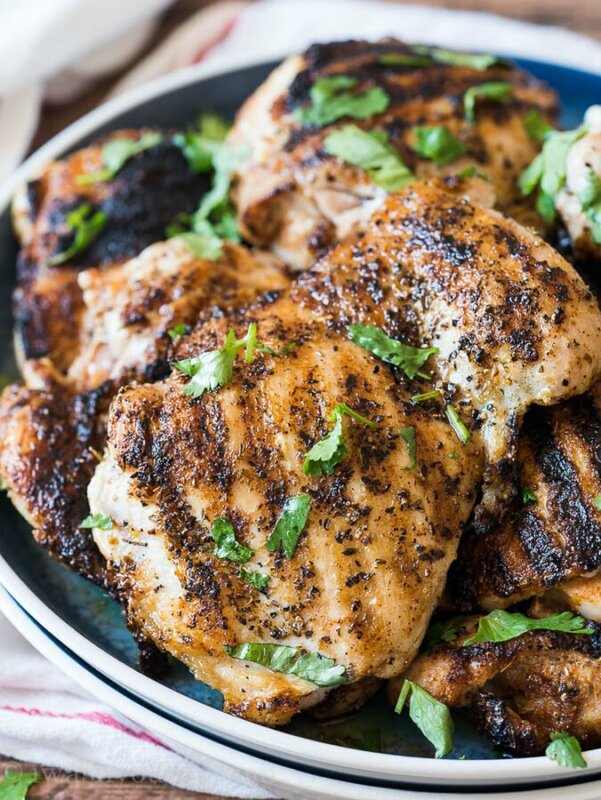 Chicken breasts will cook faster than thighs, depending on their thickness. How should i defrost the chicken so I can make this? Mine are always frozen. Hi Samantha, Defrosting your chicken will help it cook more evenly and be tender clear through. Defrosting in the microwave is the quickest method. Consult your microwave user manual to find the best way. Hope this helps! Monday back from Spring Break, I forgot to get dinner out of the freezer and did not get home from work until after 7. I was tired and hungry and not in the mood to cook, found your easy recipe and served it with corn on the cob and green peas, the chicken was so good, the whole family was upset I didn’t make more, it was requested this get added to our family recipe book! Thank you for the great dinner idea, just what I needed after this long day! That’s awesome! I’m so glad you enjoyed it! Mesmerized, will definitely try this out! I also have a great recipe to share, Honey Glazed Chicken is an easy, fast and delicious recipe for dinner that will be loved by all of your family members. 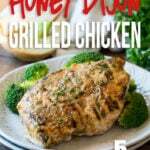 This creamy recipe for Honey Glazed Chicken is packed with great flavors and is extremely delicious. You can pair this chicken with just about anything, but my favorites are Garlic Parmesan Rice, Greek Salad or my Strawberry Pecan Salad! 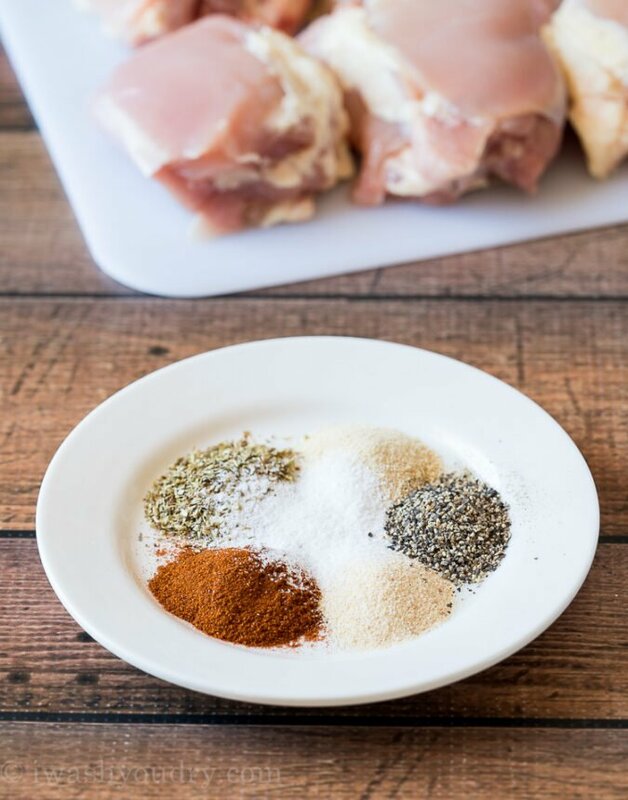 As for keeping chicken breasts from drying out here is what you need to do: Place the chicken breast on a cutting board and cover with parchment paper or plastic wrap. Use a heavy rolling pin or the flat side of a meat mallet and pound the chicken breast to an even thickness. This will help the chicken breast cook evenly and prevent it from getting overcooked on one side. THEN, once the chicken is cooked, loosely cover with foil and let rest for 5 minutes before slicing. You’ll be shocked at how juicy the chicken is! Seriously love this recipe. Will gonna try this tonight. Sounds awesome. Will give the feedback after try it. I wasted my last minute reading through this blogger’s life story trying to get to the recipe. Really? My whole life story, huh? I don’t believe you actually read what I wrote then, cause I talked about this recipe… not my life. But I’m glad you found your way to the bottom of the page, got the recipe AND had time to make a comment. 🙂 Hope you enjoy it! What if you don’t have a wire rack? Could you just put the chicken on a baking tray? You could just put it on a baking tray, but flip halfway through baking! I am confused – So pan fry AND broil ? Or is it either? Either! These are just a few of the methods to cooking the chicken. I made this tonight for my husband, and he absolutely loved it! I’m just beginning to learn how to cook, so the compliment was great to hear! The flavor was wonderful, and the chicken was so juicy. Thank you for sharing! This one is definitely going to go into the rotation. Awesome! So glad you enjoyed it Launa! I made this tonight and it tasted really delicious. Easy and simple. The only thing different I did was bake the chicken pieces after browning in the skillet. I used all the parts of the chicken so I wanted to make sure the chicken is fully cooked, hence, baking. Time saver and a hit in the house. Thank you for the recipe. Loving the book! Thanks for sharing. 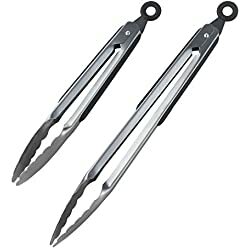 What’s a good side to have with it? Mashed potatoes? You really can’t go wrong with any side for this chicken! Hi I have a question for Shawn or anybody. It’s regarding Broiling. So my broiler is on the bottom of the oven and of course the whole oven gets extremely heated when broiler is on. Are the instructions to place chicken 6 inches from the top of the oven for people that have a top broiler?? Thanking anyone in advance for responding!! From the cooking novice! Yes, the instructions for the broiler would be for a top broiler. I’ve never tried this with a bottom broiler, so I can’t really give you any tips on that. 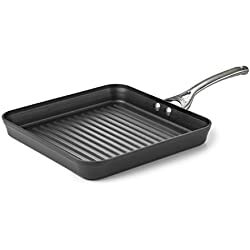 But you could use a skillet, grill, or even a george forman type grill! Hope that helps! I’m so glad you like the cookbook! We make this chicken all the time too. Have a great rest of the week! Loving the book! Thanks Mary! I love how easy and simple this recipe is besides being quick and inexpensive. I will have to try it. It’s a definite time saver! Hope you enjoy it Laura! I just love your meals. They make me feel like a real cook.